Cambridge University Press is pleased to be sponsoring Trinity Grammar School’s entry in the Energy Breakthrough initiative. The Energy Breakthrough is a joint initiative of the Country Education Partnership (CEP) and the Central Goldfields Shire Council (CGSC). Since 1991, the Energy Breakthrough has provided opportunities for students, teachers, parents and local industry to work together to design and construct a vehicle, a machine or innovation in technology that will represent an ‘energy breakthrough’. Cambridge recognises the importance of encouraging our future leaders to raise awareness about the human impact on the environment and to advocate for sustainability. Being a part of the Energy Breakthrough initiative allows students to gain valuable life skills of cooperation, teamwork, initiative and resilience to take them into a future of technological change and innovation. 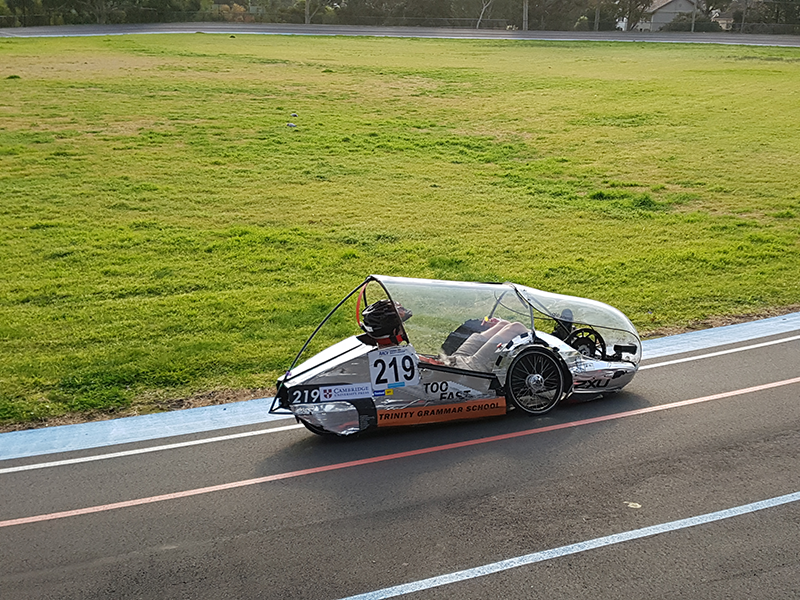 The Trinity Grammar team are well on their way to having their design ready for testing and Cambridge looks forward to seeing their recumbent vehicle out on the track with other competing schools.